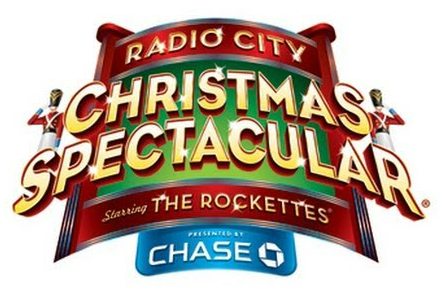 Radio City Music Hall Annual Christmas Spectacular with the Rockettes included! There's no city at Christmas time like New York City. The Christmas tree at Rockefeller plaza is all lit up in its glory, the skating rink is busy 24/7, Radio City Music Hall is glowing. 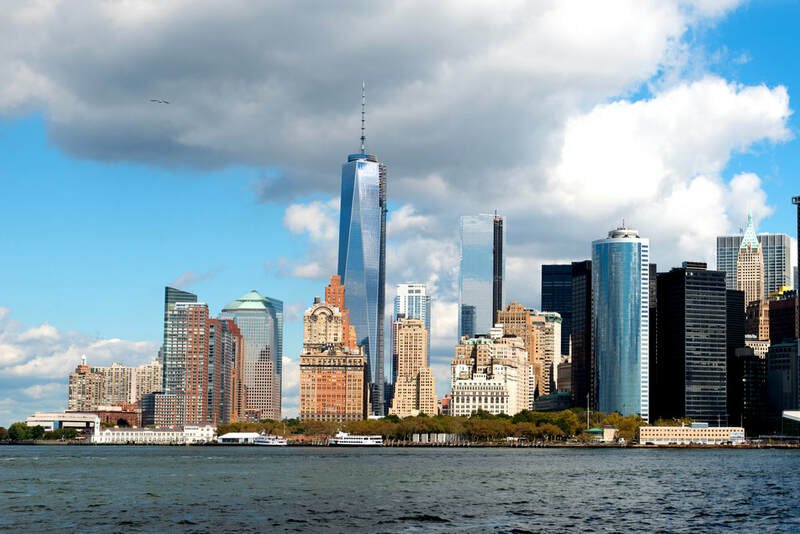 Your tour includes a ticket to see the famous Radio City Music Hall Christmas Spectacular with the Rockettes, a visit to the Statue of Liberty including admission to the pedestal inside the Statue of Liberty, admission to Ellis Island & the immigration museum, admission and a ride to the observation deck of 1 World Trade Center aka the Freedom Tower, a guided tour of New York City including Central Park and so much more. And of course the window displays on 5th Avenue are breathtaking. Yes indeed... there is no city at Christmas time like New York City! This tour travels to the USA. Passports required! We leave on Sunday morning from the Toronto area, stopping for lunch and dinner along the way, before arriving at our hotel in the evening. We spend Monday & Tuesday in New York City. We return to Toronto on Wednesday, stopping for breakfast, lunch, duty free store and dinner along the way. Round trip transportation on deluxe bus with WiFi. Three nights accommodation at the Fairfield Inn & Suites, Meadowlands in NJ. 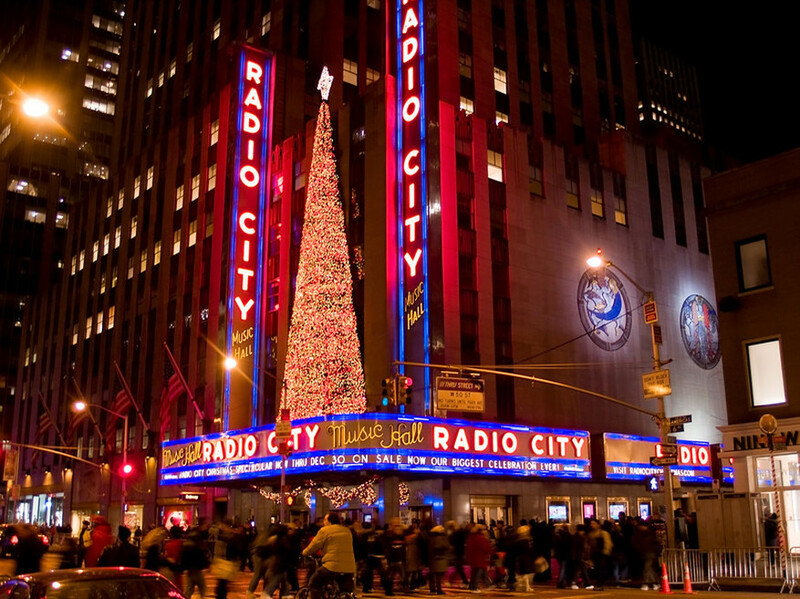 Ticket to see the Radio City Music Hall Annual Christmas Spectacular Show with the Rockettes included. Admission and elevator ride to the observation deck of 1 World Trade Centre, the tallest building in the Western hemisphere, included. 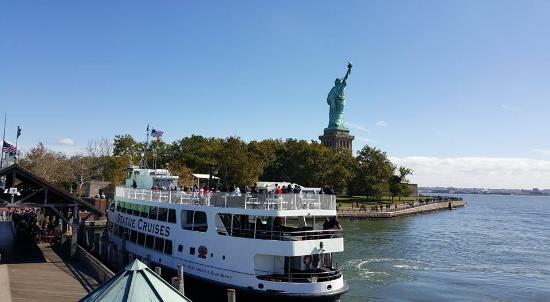 Boat cruise to Liberty Island and admission to Statue of Liberty Pedestal included. 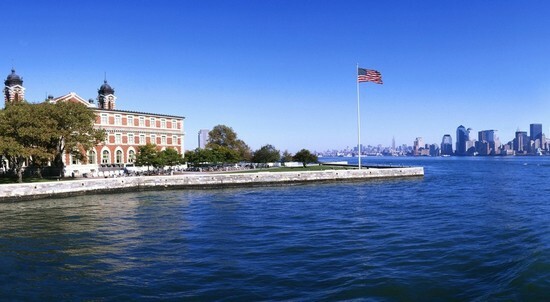 Boat cruise to Ellis Island and admission to Immigration Museum included. 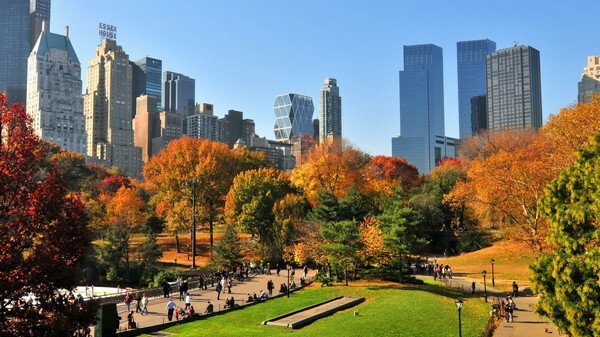 3 hour guided bus tour of New York city with local tour guide included. 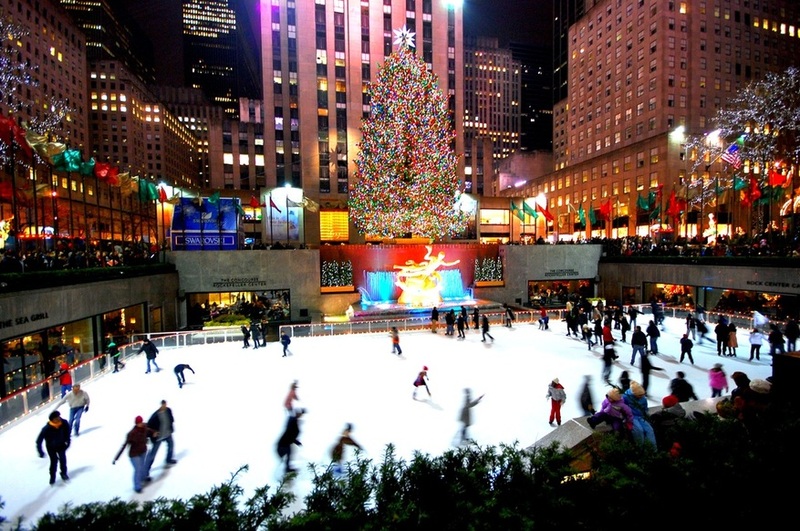 Free time in Rockefeller Plaza, at the Christmas tree & Rockefeller Center. Time has been built into the schedule for you to see if a Broadway show if you wish; cost of show ticket and transportation to/from the theatre is not included. Free time in Times Square. Complimentary WiFi at hotel included. Complimentary bottled water and snacks during bus journey included. Escorted tour with tour director available 24/7 during the trip. All tips & taxes included. ​ All prices are per person, in Canadian dollars. Taxes & tips included! We do not charge single supplements or surcharges! ​Are you travelling by yourself and wish to share your room with one other person? We guarantee to find you a roommate of the same gender or we pay the surcharge! Children 10+ are welcome on this tour. Price is the same as adults. We do not charge single supplements or surcharges if you are willing to share your room with one other person. Are you travelling by yourself? We guarantee to find you a roommate of the same gender or we pay the surcharge! ​If you prefer to have a private room by yourself, that is not a problem, please select the Single Occupancy option and pay the single supplement. US Immigration requires that all travellers MUST have a passport (or Nexus or EDL cards). If you do not have a Canadian or USA passport, please make sure that you have the appropriate permissions or documentation to travel to the USA. If you are denied entry to the US, sadly we will have to leave you at the border. Sorry but no refunds if you are denied entry. ​Your seat is fully transferable to anyone else at any time without penalty. Emergency medical and trip cancellation insurance is strongly recommended. Getting ill in the USA can be very expensive. If you are not covered by a workplace or other policy, we recommend that you purchase insurance for this trip. Both CAA and RBC Insurance sell such insurance online or you can also call Marville Travel at (905) 891-0111 and one of the agents will be pleased to assist you. The world famous annual Christmas Spectacular show will take you on a magical journey through everything Christmas and all the traditional Christmas songs. Click on the video link below to get an idea of the show. Wait for the breathless tap routine to “The 12 Days of Christmas,” a teddy bear ballet to excerpts from “The Nutcracker” and the signature exercise in synchronicity called “The Parade of the Wooden Soldiers.” This show started in 1933 and just keeps getting better as the years go by. Truly a memorable experience and memories that you will bring back with you to Toronto! 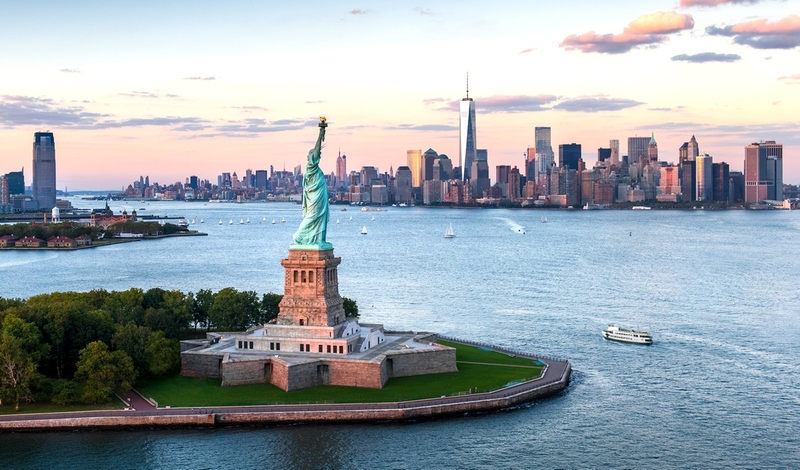 Your tour includes a cruise that takes you to both Liberty Island and Ellis Island. Liberty Island is of course the home of the Statue Of Liberty. Your ticket includes admission to the pedestal of the Statue of Liberty. Ellis Island has the fascinating immigration museum which showcases the history of the millions of immigrants who arrived in the New York and were processed through this centre. There are a million things to experience in New York City and only one way to truly see them all. By ascending to the top of the tallest building in the Western Hemisphere in less than 60 seconds; look toward the horizon and feel the City’s invincible spirit. ​Explore three levels filled with innovation and inspiration at One World Observatory, located in the top three floors of One World Trade Center. 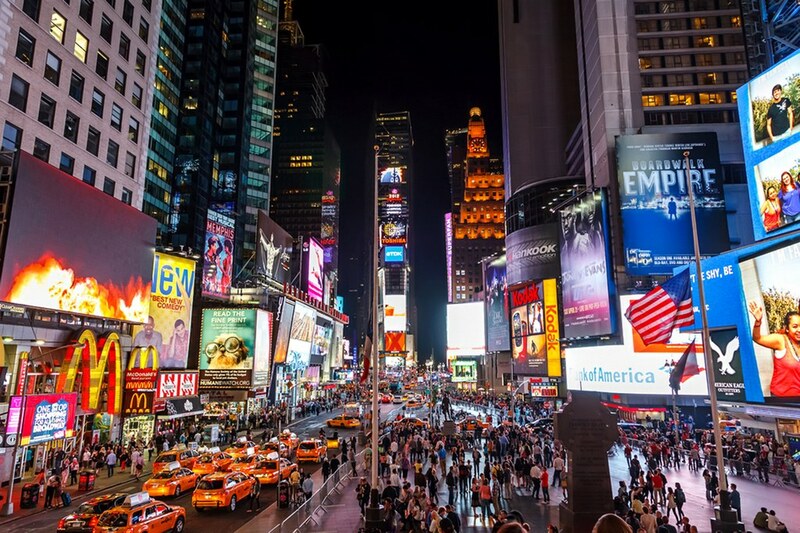 Experience sensory overload in Times Square. Did you know that it's not really a square but a triangle? Spend some time in the spot that never sleeps. You're sure to feel a certain NYC buzz after spending a couple of hours in this area. Covering 843 acres in the heart of Manhattan, our tour also includes a visit to Central Park to appreciate the beauty of this space. 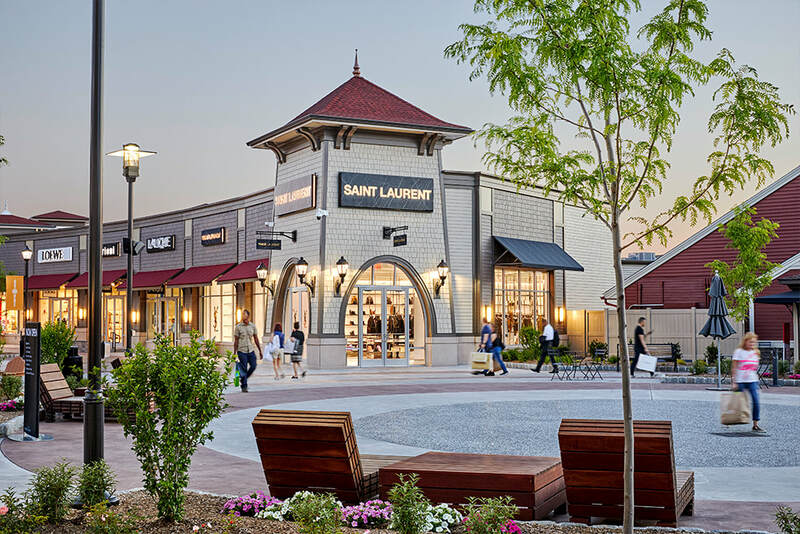 Woodbury Common Premium Outlets has 220 stores occupying more than 800,000 square feet and is one of the largest contiguous outlet centers in the world. For a list of stores at this mall, click here. For a link to the mall's interactive map, click here.